The Eighth Symphony, Op. 65 by Dmitri Shostakovich was completed in 1943. Like the Seventh Symphony, Op. 60, it was composed under the immediate impression of the Second World War. Shostakovich expressed his profound consternation with these both these works, as he also did with the Eighth String Quartet dedicated to the victims of Fascism. The Eighth Symphony was premiered on 3 November 1943 in Moscow for the festivities celebrating the anniversary of the October Revolution. Compared to the Seventh, whose subject is the struggle and brutality of the war, the Eighth is a reaction to the tragedy of the present. It is determined by reflections on suffering and pain, as Sabine Siemon wrote in 1995 about this work. 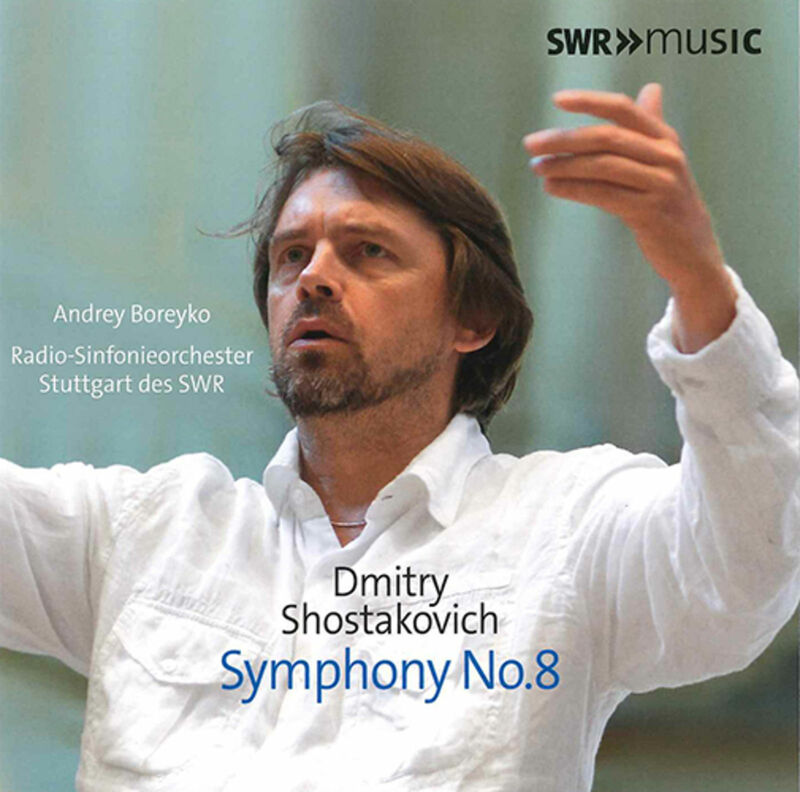 In his recording of this gigantic work of more than an hour’s duration with the Stuttgart Radio Symphony Orchestra of the SWR, the phenomenal Maestro Andrey Boreyko emphasises right at the beginning the gravity, oppression and expression of suffering. The aggressive mood of the Allegretto movement with its sharp piccolo accents and orchestral blows creates a bitter contrast to this. But here, too, the tragic gesture is maintained.